Are you looking for experienced plumbers in South East London who can provide you with a fast and efficient plumbing service? Are you looking for a boiler replacement solution? Welcome to AS Plumbing and Gas Limited! With a rich history of over 20 years in the industry, we are specialists who can undertake all types of plumbing services, gas installations or boiler repairs in Hither Green and Lewisham. Specialising in the South East of London and North Kent area, we are widely renowned for offering services which highlight our experience in the industry. 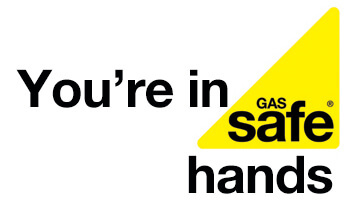 Whether you have an emergency or need to book a routine maintenance appointment, our gas engineers and plumbers in Blackheath can help you from start to finish. As a leading company, we specialise in providing plumbing and heating services to domestic customers in Lewisham, Blackheath and Bromley. We are your local, friendly, honest and most trusted plumbing and heating company. Our gas engineers and plumbers in Hither Green and Lewisham are fully committed to providing high-quality services at competitive rates. With our specialists you can be assured of a reliable service which exceed your expectations. “We had new radiators installed just over a year ago and despite having the installer back many times several of the radiators were often cold. I called Son and he spent some time investigating the problem and rebalanced all the radiators so that all were providing heat. He made recommendations to further improve the heat output. I am only sorry that we did not use AS Plumbing and Gas Ltd and Son for the original works. 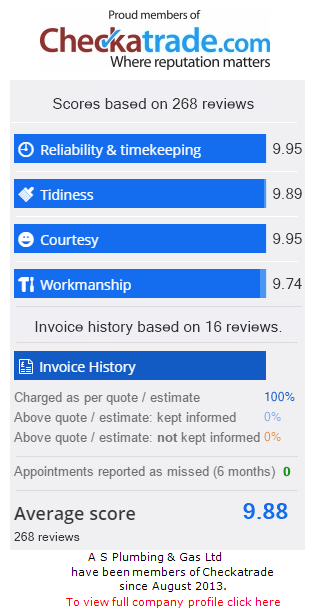 Great company with a genuine approach to customer service. With a rich history of over 20 years in the industry, we are specialists who can undertake all types of plumbing services, gas installations or boiler repairs in Hither Green and Lewisham. AS Plumbing and Gas Limited, registered as a limited company in England and Wales under company number: 08049951.